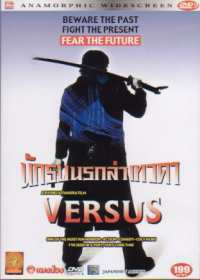 DVD contains both the rated and unrated cuts. Two men from opposite sides of the world must work together to explain the unexplainable. A wealthy businessman accused of spilling toxic waste into the ocean is discovered dead in his office. Although the room is completely dry, he is believed to have drowned. A beautiful mistress of a government official has been burnt to death in her home, althogh there are no signs of fire anywhere. A priest known for transporting illegal weapons is found in his bed, disemboweled, although there are no signs of struggle. To solve these grisly crimes, the Taiwanese government is forced to enlist the help of an American FBI agent (David Morse). He is teamed with a troubled local cop (Tony Leung) and together they must do the impossible. Their journey will lead them into Taiwan's darkest corners and to an ancient cult in search of immortality. In the past few years it has seemed to be the trend to have actors, actresses and directors from the East going to the West, in particular Hollywood, to make films, but there hasn't really been much of a flux in the other direction. This is undoubtedly to do with money, possibly explaining why the people who have moved from the East to Hollywood are some of the bigger names in the business. 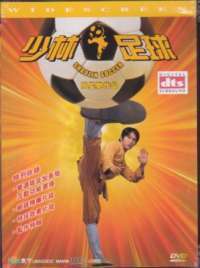 However, with Double Vision a western actor comes and takes one of the leading roles in the Taiwanese/Hong Kong film. I'm not talking about one of those bit part actors like you saw in the Returner, but a good actor with a solid filmography on his resume - David Morse. Usually at this point in a review I give a brief plot summary, but thanks to some constructive criticism from others, this is going to change as it was deemed unnecessary. Where the plot synopsis above (taken from the back of the DVD case) is suitable, it will do, if it is not suitable then I will give my own around this part of the review. Anyway, I will stop giving general statements about my reviews now. Quite possibly due to the inclusion of the Western actor Double Vision has been picked up for distribution by a major company who have given it a far wider release than I would normally have expected. As is the norm it seems with films released in the US, there are 'Rated' and 'Unrated' cuts of the film. Unless you are particularly against violence or gore, in this film's case, I don't see why you would want to watch the 'Rated' version at all, and if you are against the violence or gore then why would you be watching a film like this in the first place? Morbid curiosity I guess. Regardless, all comments here are for the 'Unrated' version of the film, which I believe runs about 3 minutes longer than the 'Rated' version. Double Vision is a very dark film. That is something that will not escape you at any point in the 113 minutes running time. This mood is set disturbingly well with the opening scene, where you see a birth taking place, but the first of the twins is stillborn. As if this knowledge wasn't enough, we are treated to a slow, lingering zoom on the grey, dead baby. Now the image is there, and it was not pleasant in the slightest. That's something that never relents, as the film plays to disturb your eyes with the onslaughts of gore. There are no worries about using a lot of blood where it is required, but possibly worse, as far as keeping your mind at ease goes, is that they never use too much blood. If there was too much, it could be taken comical, if there were little, then it wouldn't seem as gory and violent, but with the amount used it seems more real and disturbing. One of the key sub-plots to the film is the clash of cultures between the American FBI agent, Kevin Richter (David Morse), and the Taiwanese cops. Their working habits differ, their working conditions differ, and there is negative feeling from the Taiwanese towards Richter at first. They don't want him there, as they'd rather not have a foreigner solve their crime for them. The development of this story is handled very well, as you can see how lonely Richter must feel with the apathy that is shown towards him. The 'buddy-cop' element of the film grows from there, and I've got to admit I was surprised by one of the film's little twists towards the end of their story. Double Vision certainly has an interesting story to tell in its explaining of the different hells and the quest for immortality, but it doesn't always tell it that coherently. There were a number of places where I was left a little confused as to what was going on, although this was mainly towards the end of the film. There was also one incident that I was marginally bemused by, as I don't understand why it happened. I'm referring to the massacre sequence. Other than using this section of film to display the majority of the graphic gore effect, which it does very well (albeit with some quite obvious CG), I couldn't understand why it started. Maybe I completely missed something, but it was quite puzzling. But like I said, for mindless violence it was top-drawer stuff. There were decapitations, severing of many other limbs, stabbings and lots of gunshots wounds, all in more detail than I'm used to seeing. Another incident that wasn't given an explanation was why the bullet that was fired at Huo-Tu's daughter from beside her head appeared to change direction from a horizontal to vertical trajectory. When I first saw it, I thought it was more than a little strange but would be explained later, however it wasn't it and I'm still unable to deduce why it changed direction. The film's two leads gave performances that fitted well within the film's mood. Tony Leung looked the part of the rather down cop and father, his actions and the relatively depressed delivery of his lines all fitted nicely. David Morse was just as good as the American on his own in Taiwan. His initial attitude of "I'm just here to get the job done" fit with his situation, but you could see more caring coming into his character as he got to know Huo-Tu better. So no complaints from me here. 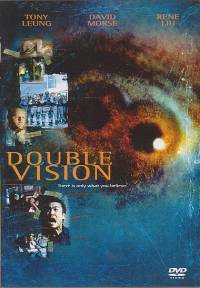 Overall Double Vision is a competent, above average dark thriller. Nothing in here will leave you cheery, but unfortunately there isn't really anything that you will really remember the film for either. Definitely one worth seeing, more so if you like some decent gore, but not much to go back to for repeat viewings.